Update : Content of this article has outdated! Please follow Current status of iOS 9.3.4 / 9.3.5 jailbreak for Cydia download your iPhone, iPad & iPod. Apple has released iOS 9.3.5 latest firmware update for iPhone, iPad & iPod with fixed another three security vulnerabilities. Few days ago they also patched major vulnerabilities in iOS 9.3.4, that used by the Pangu for jailbreak iOS 9.2 – 9.3.3. What about jailbreak & install Cydia for iOS 9.3.5 ? You can find real information below.. This is summer to fake jailbreak methods to install software name called Cydia for your devices. More than 50% new Cydia loving users do not have clear idea about how to install Cydia application for their devices. So they are installing fake apps name called Cydia for their devices. Cydia can act as alternative application for Apple App Store. We can see many applications related with Cydia. But all of other applications unable to give Cydia features. Apple patch major three security vulnerabilities with iOS 9.3.5. So users unable to install Cydia for iOS 9.3.5 now. But Pangu team working hard to give solution for users. Is Cydia ready for iOS 9.3.5, 9.3.4 ? No, Cydia application cannot install for iOS 9.3.5, 9.3.4 now. Apple closed downgrade gate for iOS 9.3.3. If you accidentally upgrade to iOS 9.3.5 or 9.3.4, you are unable to install Cydia application. If you are already installed Cydia, Please do not update your firmware. Wait until jailbreak update release for iOS 9.3.4 & 9.3.5 public users. Cydia is available until iOS 9.3.3 version this moment. This month end, 26 of August Apple released iOS 9.3.5 for public users. This update released as security update and users unable to get any advantage using iOS 9.3.5. This major update patch exploits used by Pangu developers. But hungry Pangu security research team working hard to release their next version for users. Few days ago, famous iOS developer Luca had installed Cydia for iOS 9.3.4. As well as the Team OS also recently released a video that shows Cydia installation on iOS 9.3.4 running device. However, no one released any tool for public users to jailbreak iOS 9.3.4. There is no any news about iOS 9.3.5 jailbreak attempt yet. So, iOS 9.3.3 is the latest version public user can be jailbroken & download Cydia at this moment. Touch with us, we have developed cydiainstaller.mobi Cydia navigation application for our loving users. This will guide you to find your jailbreak any stage with iOS update. Install cyHelper for users already updated their device to iOS 9.3.5. This will help to detect your device and navigate to install real Cydia application. Please follow real path to install Cydia application for your device. Fake methods will cause to damage device or distribute malware. 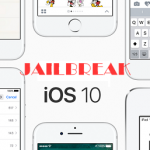 iOS 10 / 10.1.1 jailbreak released! Please How i can download jailbreak without money? Jailbreak is free for users. Do not need to pay for jailbreak tools. how to download this cydia? my ios 9.3.5 iPhone 6. thank you! OK, iOS 9.3.5 Jailbreak not release for users. Please install cyHelper with cydiaintaller.mobi. But it says not verified when I want to install Cydia helper? Can i instal cydia on iphone 4s 9.3.3?? any hope to see à cydia version for 9.3.5? Because I have a iPhone 4S running iOS 9.3.5 and I cannot upgrade to IOS10. I need to install OpenSSH. any other solutions? Cydia not available with iOS 9.3.5 Now. This will be available later. Please touch with us. When Cydia support we will inform to you. As I understand still isn’t possible to instal cydia on iOS 9.3.5 ? What to do ? How to update my sons iPhone 6 to iOS 10.1 ? I am not so big professional by installing new things and sometimes all sounds so complicated, can anyone help me ? My ipad2 ios9.35 when coming jailbreak? Pangu has confirmed, not release jailbreak for iOS 9.3.4/9.3.5 versions. Because they are working on iOS 10 jailbreak release. But, some other person/team may release jailbreak compatible for your device. 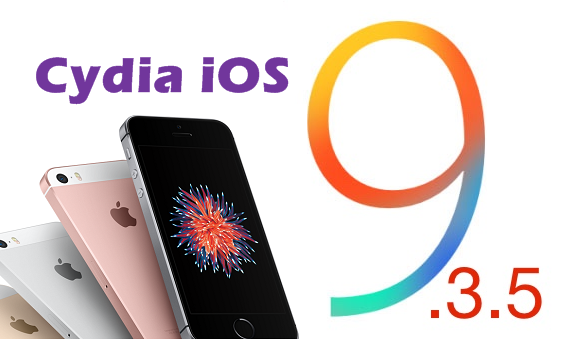 Invite to follow this tutorial, How to install some best Cydia apps without jailbreak iOS 9/10? Pangu has confirmed they not release jailbreak for iOS 9.3.5. And you unable to downgrade to iOS 9.3.3 jailbreakable version. Keep in touch with us, we’ll inform if any update available.. Does this jailbreak is safe, is it safe on both Windows and iPad? Jailbreaking is 100% safe if you use real tools & follow proper instructions. Why iOS 10/10.1.1 just released why for iOS 9.3.5 is not yet. Lease i already waited long time for this update. Can someone tell the developers to search for iOS 9.3.5 update. Please. Wait.. and touch with us. I have an iPod Touch 5G and it is feeling very sluggish on iOS9.3.5. 1.When approx. will the jailbreak come for iOS9.3.5? 2.Will jailbreaking make this device faster? 2. Jailbreak will never effect with device performance. So, this will not fast your device. Thanks for your reply. By an approximate time I meant like in 2017 or ever. Is there even a team trying to get this jailbreak done? Or Are we out of luck. If your device with iOS 9.3.5, Cydia is not compatible with your device now. Please wait until jailbreak public release. 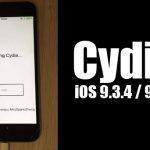 Can we instal Cydia on iOS 9.3.5 now? Currently Cydia not supports iOS 9.3.4/9.3.5 versions. 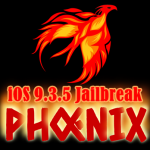 All of us on 9.3.5 have waited very patiently for Pangu to produce a jailbreak. Surely it is not asking too much for them to give us an approximate date for its release? Or if they are not going to provide one then please just tell us. Paid Cydia means fake Cydia programs. Please do not buy Cydia from anybody. You are wasting money. We are not selling Cydia.